Your skin is as individual as you are. At the Acupuncture & Beauty Centre in the Sydney CBD and Fairfield we offer a range of different beauty facials designed to pamper and treat your skin’s individual needs. We use products which are designed to treat your main skin concerns and aim to deliver the results you are after. This facial is tailored to each specific season of the year, as your skin alters between the summer and winter months. These treatments are inspired by nature featuring a complex of seasonal fruits. It strengthens and rehydrates the skin with natural minerals and nutrients. Your skin looks and feels invigorated. As a gift, each seasonal treatment comes with a free serum to take home and use to continue the benefits of the treatment at home. Escape the stress of modern times, avoid city pollution, create your own links with nature … a dream that can now come true. Revealing the best from nature, Sothys organic treatment offers a relaxing moment in time, a “green” escape. Emerge with a supple and revitalised skin… Total relaxation and nature becomes one. The skin is left feeling fresh and radiant. This deluxe facial begins with a thorough skin consultation to select the appropriate products for your needs. Your skin is firstly cleansed and exfoliated and a steam treatment is applied, which allows any impurities to come to the surface and be easily and thoroughly extracted. An ampule suiting your skin type is then applied which is infused by a relaxing face, decolletage and neck massage. This is then followed by a therapeutic mask designed for your skin concerns. Whilst the mask is on you also are pampered with a scalp and hand massage for total relaxation. Your treatment is then completed with a softener and moisturiser to suit your skin type followed by a sunscreen. The skin is left feeling rejuvenated and radiant. This whitening treatment is a rapid and instant lightening treatment for hyper-pigmented and sun damaged skins. It combines a ‘laser-like’ exfoliation of the skin together with a unique ingredient, MSH-Control which works “upstream” to inhibit melanin production. It includes exfoliation, stimulating massage for the face and hands, pure Vitamin C serum and instant radiance cream. Your skin is left feeling brighter and more radiant. This intense anti-ageing rejuvenating facial treats dehydrated aged skin. It hydrates and balances the ph in the skin, whilst plumping and preventing dehydration and water loss to create a healthier more youthful complexion. It maintains optimal hydration and reinforces the protection of the skin through prolonged water equilibrium. This facial will leave the skin feeling smooth and rehydrated. The essence of beautiful youthful skin. This treatment lifts the facial contours and diminishes fine lines and wrinkles one by one. It reinforces and supports cellular defence whilst relaxing expression lines. This is the ultimate in skin resurfacing with high-tech active principles to smooth the skin and relax the tissues. Sothys patented anti-ageing treatment, [C] Collagen Hyaluronic combines exclusive cosmeceutical complex with anti ageing actives and is customised according to specific needs of the skin at various stages of ageing. An individualised treatment by diagnosis and intensity for your skin type. Sothys has created this new cosmeceutical anti-ageing program as an exclusive concept which relies on a professional diagnosis to determine the real age of your skin and to offer an efficient, complete and total customised solution. This medical grade Hydroxyl acid peeling treatment offers a greater efficiency in exfoliation and cellular renewal. This intense AHA/bHA combination is great for ageing, pigmented or acne skins. A resurfacing treatment, excellent for sensitive, dry skin, hyper-pigmentation, acne and aged skin. Makes skin extremely smooth and soft to touch, reduces pores. A powerful anti-oxidant treatment with stem cell technology to decrease fine lines and wrinkles, improve skin tone and texture. This hydro-thermic facial is great for dry dehydrated winter skins. The mask is infused with a self-heating action which increases hydration and plumps skin. Face is left feeling silky soft, supple and moisturised. Designed to specifically combat the aging of the eye contours. It smooths out fine lines by re-hydrating and protecting. Dark circles and puffiness around the eyes appear lightened and reduced. Designed to combine science and nature, it incorporates specific massage movements to assist in the alleviation of aging around the eye contour zone. The Sothys Homme detoxifying and de-stressing treatment represents the ultimate in de-stressing the mind, stimulating concentration and providing total relaxation… a ZEN SENSATION. The treatment involves a deep cleanse and hydration to target specific skin concerns. The treatment involves a peel off mask with ginseng and vitamin C to intensify results. It also includes a specific massage targeting the scalp, back of the neck, head and face using a unique Sothys massage method to induce deep relaxation. 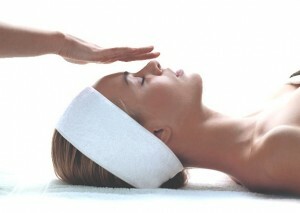 After the treatment you will feel complete and total relaxation and serenity, with a smoother youthful skin appearance. Visit the Radiant Brides website for more information. Eli is a professional makeup artist and hair stylist for weddings and special occasions. Eli also has her own range of natural and organic Australia skincare products Pearl Pureness. These products are paraben free, SLS free, petro-chemical free. They are sourced from the highest quality ingredients for your skin and are not tested on animals. Visit Pearl Pureness to purchase the best products for your skin. Phone 9728 6176 to make a booking.